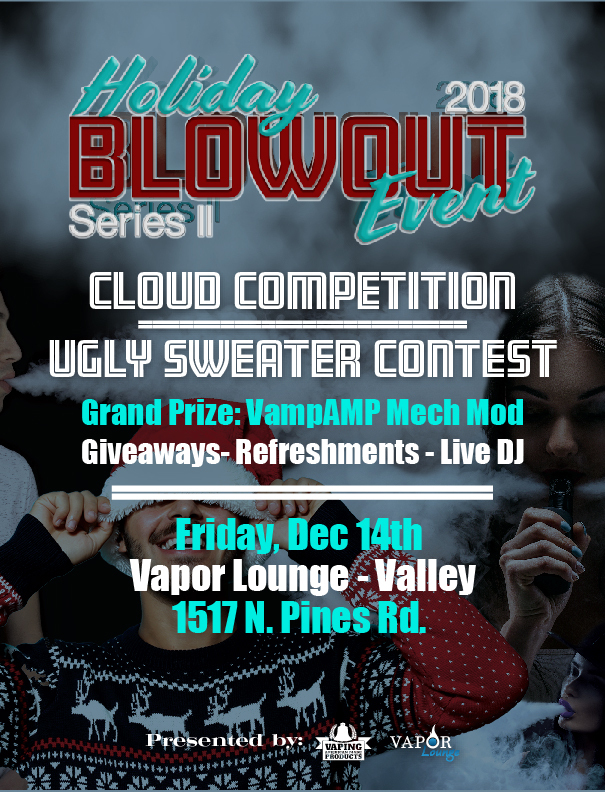 Just like last year’s major cloud competition but with even more fun, giveaways and prizes! This is an all-day event. The prize wheel will be out, with special deals, discounts and free stuff! Mama’s Kitchen Premium E-Liquid and Vape AMP will be hanging out. Come say hello and check out some new products. There will be a BBQ, cookies, and a live DJ! Quickly unwrap gifts and discover some fantastic prizes.. but, there's a twist - you'll be wearing mittens! Enter with any purchase of $100+. All competitions are judged by crowd participation, so bring your friends and fans to cheer for you!